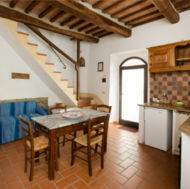 The apartment is spread out over two floors. 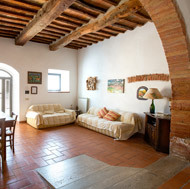 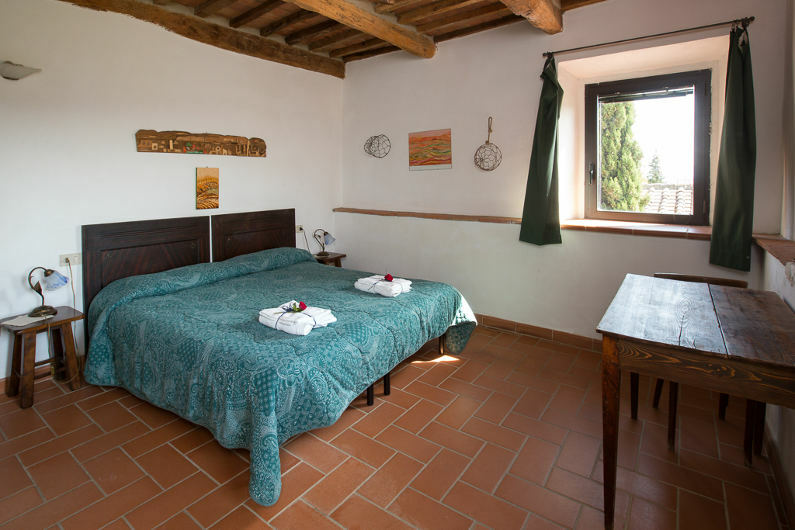 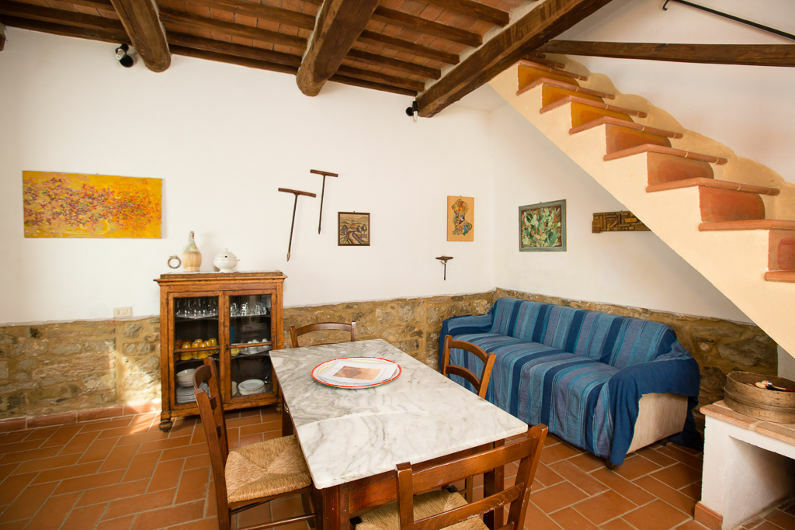 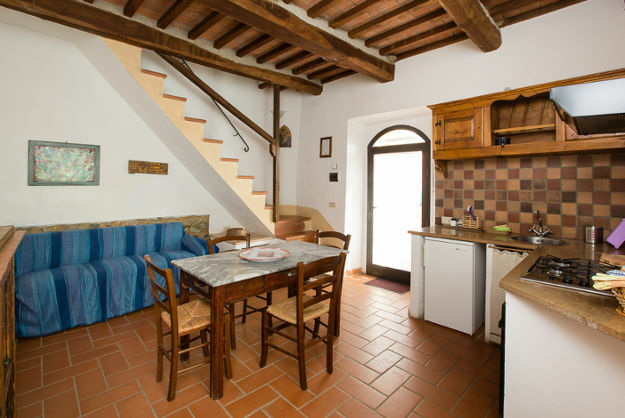 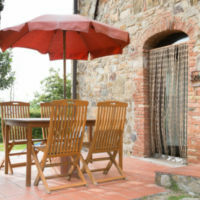 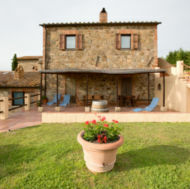 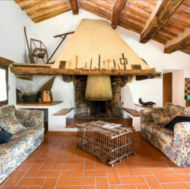 On the ground floor is the living room with kitchenette (with oven and view of Montalcino). 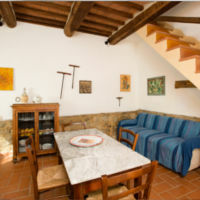 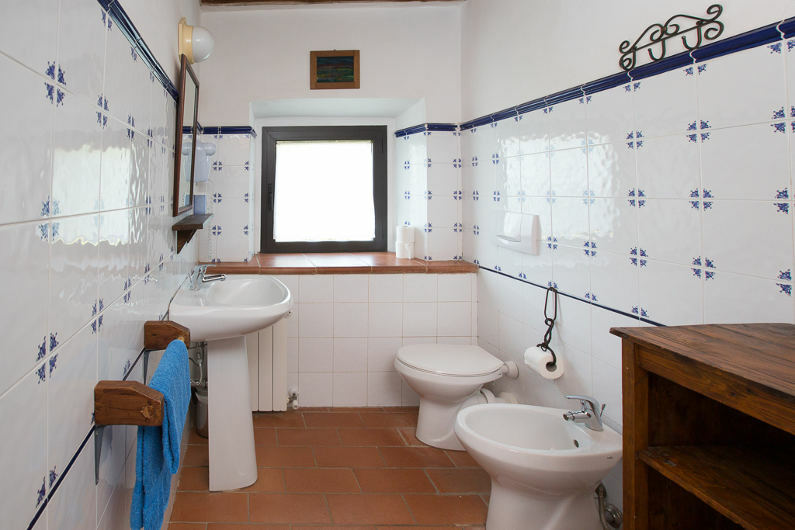 A staircase leads to the first floor, which features a full bathroom (with shower) and two bedrooms, from which you can admire beautiful views of Montalcino. 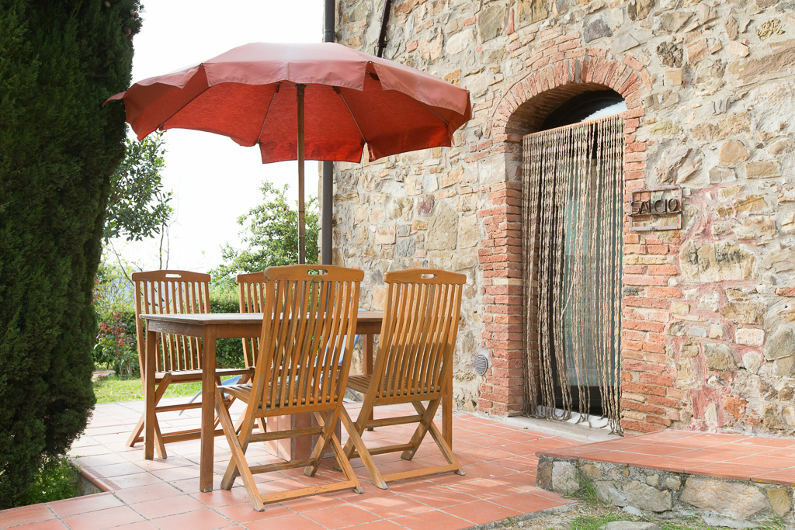 Outdoor space furnished with table and umbrella. 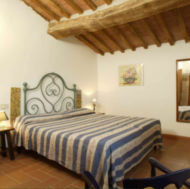 All rooms (bedrooms, kitchen and bath) equipped with window screens.